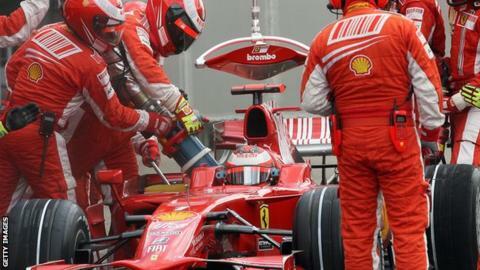 Formula 1 chiefs are to again discuss the potential return of refuelling. The idea was proposed then dismissed last year, but could be introduced as early as 2017 if it receives support in Monday's F1 strategy group meeting. Key figures in F1 are keen to find ways of making the sport more exciting. The strategy group - made up of F1 commercial boss Bernie Ecclestone, FIA president Jean Todt and the six leading teams - will also discuss rule changes for engines and chassis. Jean Todt, president of F1 governing body FIA said: "We (will) re-address (the subject of) is it right not to have refuelling?" Refuelling was banned at the end of 2009 on cost and safety grounds. Teams conducted an extensive investigation last season into the effects of a return of refuelling and concluded it would have a negative effect on the sport's spectacle. They looked at data that showed the 1994 to 2009 period - when refuelling was part of F1 - had the fewest number of on-track overtaking manoeuvres since 1980. However, as the sport wrestles with ways of arresting what is perceived to be a decline in appeal, the idea has been floated again. Ferrari president Sergio Marchionne has long been a fan of refuelling, as has Ecclestone, who was unavailable for comment. One senior insider said: "Anything that could produce unpredictability is good. The racing couldn't be any more boring than it is sometimes. Everything is too clinical. 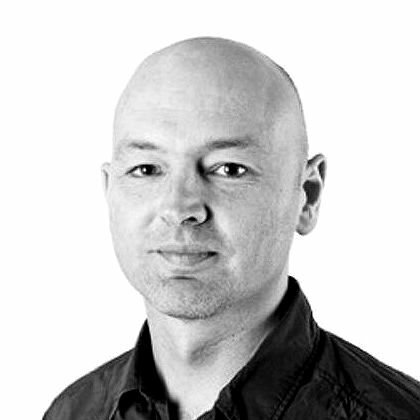 "The teams are so clever that we end up with races that are entirely predictable from the outset." However, another leading figure said: "It's just another boomerang. Many things are canned and then reappear on the agenda. I wouldn't read too much into it. It's nonsense." The FIA and teams are already in the process of trying to finalise a new set of rules for 2017 to make cars faster and more dramatic looking. However, these have hit a hitch after tyre supplier Pirelli told the teams it would need to run its tyres with much higher pressures if aerodynamic downforce was increased as much as was being planned, which would mean diminishing returns from the increase in car performance. This has led the FIA to water down its plans to speed up the cars. increases the track - the width between the wheels - so cars are 2000mm wide rather than 1800mm. The strategy group will also discuss proposals from engine manufacturers, who were charged by Todt and Ecclestone with making power-units cheaper, more simple, more noisy and more available. The target was to reduce the price of an engine for a customer team to €10m (£7.9m) from the current level of €18-23m. Formula One cars could be up to 25 percent noisier this season, said Williams technical head Pat Symonds.